Yes, It's Possible to Like Your Printer. This One Will Prove It. 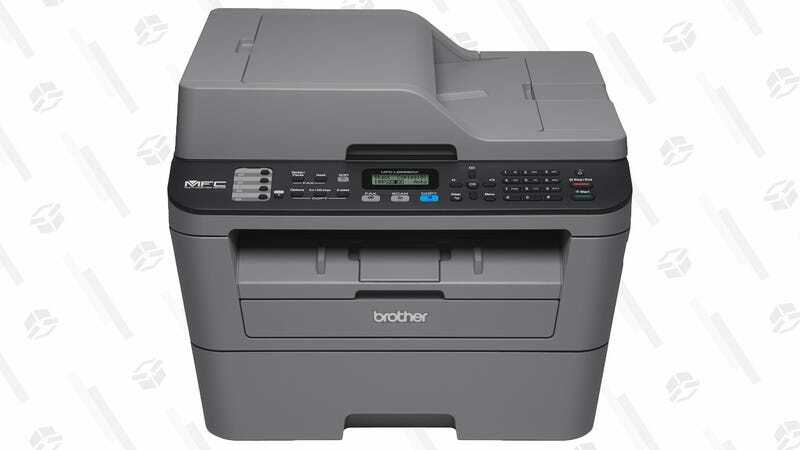 Unless you really need to print in color, Brother makes some of the only printers worth buying, and their small office-friendly MFCL2685DW is on sale for a consumer-level price today. Like Brother’s home printers, this model spits out about 24 pages per minute, includes Wi-Fi connectivity, uses inexpensive and long-lasting toner, and just generally works much more reliably than any inkjet printer out there. The biggest advantage of this model over a consumer-level HL-series printer is that it includes a document feeder for the scanner, meaning it can automatically scan 35 pages in a row with no user input. You might use that feature, like, once, but you’ll probably be really glad you have it.